I'm so happy Karen from Troop 42820 sent me these ideas and gave me permission to share with all of you! She has some great ideas. For Step 1, we did Be an active citizen in action. We made a list of things we thought made an active citizen, and since some of our girls were new to the Girl Scout Law, we talked about how the Law was like being an active citizen. For Step 2, we invited the Vice Mayor from one of our communities to our troop meeting. As a bonus, she was a long-time Girl Scout! She talked about how she helps to make laws, and shared with us the process of creating the law governing the keeping of residential chickens in our village. :) The girls were very interested and had a lot of questions! For Step 4, the girls had a choice—some watched an online video of their community council meeting and wrote an article, while others followed the local news and wrote a "letter to the editor". For Step 5, girls made posters in support of our school district's renewal levy, and I posted them on our school's Facebook page. For Customer Insights, girls did a fair amount on their own and we discussed it as a troop. My girls love to talk... and sometimes get a bit off topic, but I want them all to be heard. :) So sometimes we don't get as much packed into a meeting as we need to in order to earn as any badges as they want. Steps 2, 3 and 4 were done pretty much as they are listed—I gave the girls handouts with a picture of the badge and the guidelines at the top so they could make notes and bring them back to a meeting for discussion. For step 5, we did role-playing at our cookie sale kick-off meeting. During that exercise we also did step 4 of Cookie CEO and Skill 4 of the Cookie Activity Pin. :) The girls enjoyed practicing their pitch and getting tips on improving it, and then enjoyed being the potential customer as well. I went with a group of friends to see Mom's Night Out. If you haven't seen the movie and you are totally Type A like me or if you are woman trying to juggle home, career, family, friends, and everything else... GO SEE THE MOVIE! It's hilarious.. you need to laugh... it's moving... I had a revelation while watching the movie and through the laughter... caught myself crying... like... tears streaming down my face quietly sobbing crying. So glad they were good friends.... I don't want to ruin the movie if you haven't seen it, but I want to tell you about my epiphany. It was one line, really... one line that pushed me over the edge and ever since I haven't been able to shake it. She was struggling with managing her life and said "Whatever I do, it's never enough". Been there, felt that sister. Oh so many times.... I was not prepared for the next line... She was simply asked..... "Enough for who?" They went on to discuss how we have a tendency to put more on ourselves than others actually expect... we all need to lighten up and remind ourselves we are doing the best we can... and we don't need to keep up with anyone else. Be who YOU are! Trying to encourage Leaders who are at their wits end is one of the hardest and heart-wrenching things I have done. 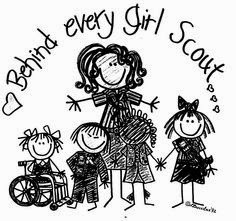 It's so hard to explain that whatever you are doing with your troop it is more than those girls would have without you. If all you do is crafts and giggle, they are growing and learning and enjoying themselves... kids learn through play... it doesn't have to be spectacular meetings with field trips to the moon. Whatever you are able to provide for those girls, it is more than they would have without you. Let me say that again and this time... read it slowly... digest it... think about it...No matter what you are doing... whatever you are able to provide for the girls in your troop... it's more than they would have without you. 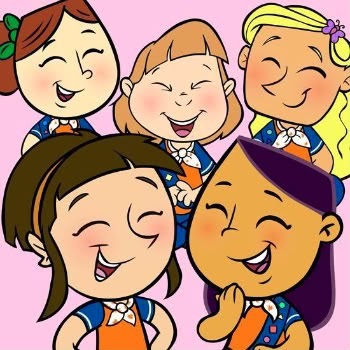 I look at my small troop of six and can tell you there are some girls in my group that need Girl Scouts. Not for the outdoor skills. Not for the badges.. not for the ceremonies... not for learning how to make invisible ink... they need it because they need a positive female role model in their life. They need to know and see and feel that there are adults who care enough about who they are and who they will become that they are willing to spend time with them. Each of us, I'm sure, can think of one girl in our troop that we probably don't really want to know everything about her home situation... that's not a cop out.. that's a coping mechanism. Some of the girls we meet go home to a "family" who never ask how she did at school, how the test went, how the day was, or if she needs anything. YOU might be to her the only person that really cares enough to give her a smile and word of encouragement. If you are like me, you signed up or agreed to be a Troop Leader because of a girl you loved. Then, you were bombarded with the expectations of passing on thousands of old traditions, new badge programs, field trips, adventures to last lifetimes, and started to wonder how you were supposed to get all of that done. I hope not many of you are like me in this aspect, but if you are don't feel alone... at times I just want to sit down and call it quits. You are convinced you can't keep up with "Troop Perfect Amazing Incredible Doing Everything You Wish You Could". Reading through blogs and message boards and watching all the pictures on Facebook of the happy little troops doing happy little things and building a water system for a village can make you feel less than accomplished. But are you less than accomplished? No. You're doing fine! You are there, aren't you? That's more than many others can say. Don't forget that! The girls need leadership skills. Yes. The girls need to feel included. Yes. The girls need to have fun. Uhhh... YES! The girls need you to do your best... not someone else's best. You don't need to keep up with another troop. You need to find out what your troop wants to do. Your girls don't need you to spend 50 hours decorating for the perfect ceremony. They need you to remind them they are wonderful and can accomplish anything they put their mind to. It's hard when you are trying to balance a full time job, family, extended family, troop, and extra "stuff". But, just cut yourself some slack and remember.... you are enough. Obviously, you care or else you wouldn't have signed up as a Girl Scout Volunteer... and you wouldn't be reading this post. You aren't failing. You may need to regroup. You may need to take a couple months off. You may need a break. But, you aren't failing. You are enough. Just let each girl know she is important to you. That's what makes you enough. That's it. It's that simple. The rest will come... and if not... 20 years down the road the girls won't chastise you for not showing them how to do the highwayman's knot... they'll say "My Leader cared about me. She was great!" 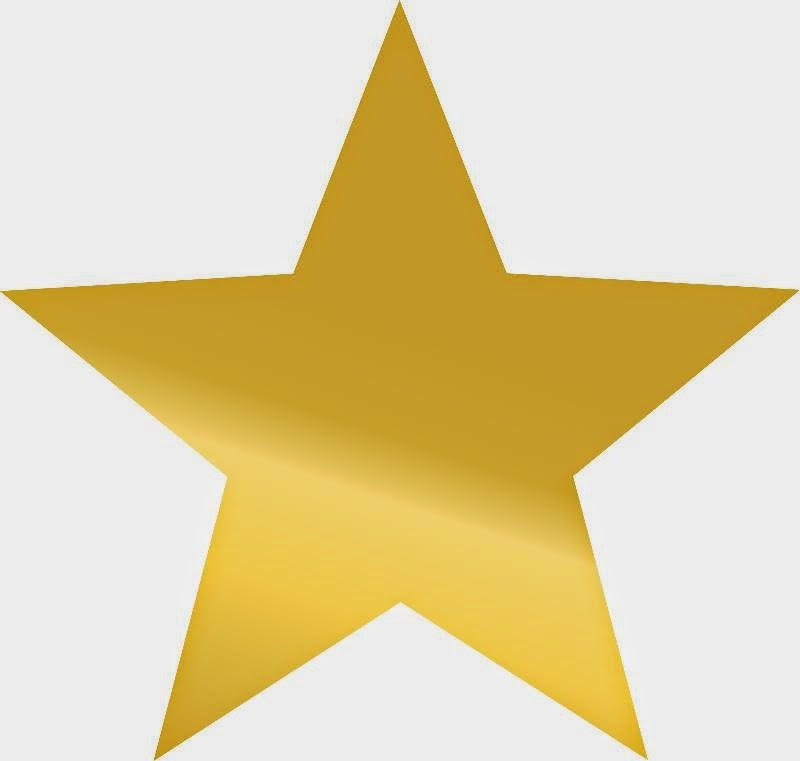 And for that.. and everything else they will never realize you did... you deserve a gold star!